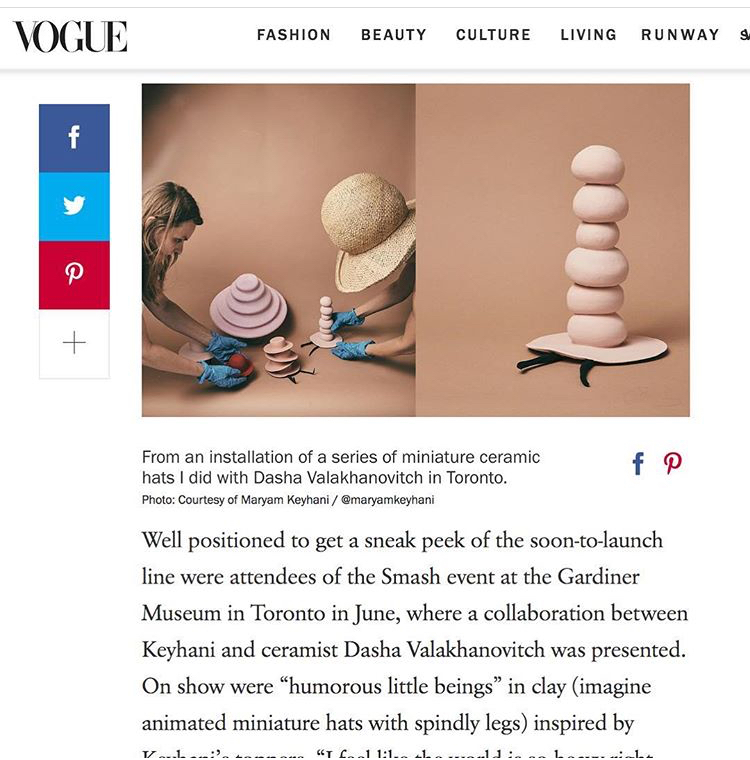 Vogue features SMASH contributing artist Maryam Keyhani as she unveils a new collection of works at the event in June 2018. “Handle with Care” is a collection of ceramic works based on fantastical hat creatures. Each their own character, form and size yet they coexist together. The collaboration between artists Maryam Keyhani and Dasha Valakhanovitch was commissioned for SMASH: We Are More. In this body of work the artists explore characters through materials and shapes to create surreal objects that are complex but lighthearted. (Which is what the world could use right now!) A series where all these characters come together and form a world of their own.